John Michael Greer’s book THE ECOTECHNIC FUTURE is a closely reasoned, completely secular treatment of what he calls the Long Descent as our industrial civilization limps to a close. 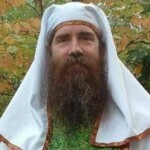 But his faith as a Druid — he’s an Archdruid and blogs at The Archdruid Report — is what spurred him to examine The Long Decline and how human society can optimally deal with it to create a future technology based on ecological principles and respect for the Earth. In this Web Extra, he explains to Writers Voice host Francesca Rheannon the connections between his faith and his science. Host Francesca Rheannon interviewed him for Writers Voice. You can hear the rest of the interview here.